Cami NYC founder Samantha Steen loves the way influencers like supermodel Lindsay Ellingson, blogger Aimee Song and actress Hilary Duff make her pieces look cool and fresh in different ways, and we can imagine each of them wearing this 'Sweetheart' camisole. 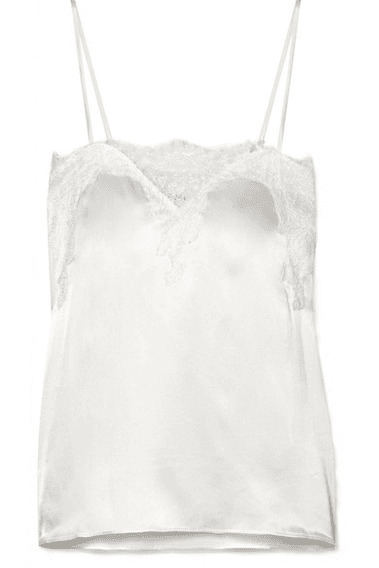 Made from silk-charmeuse, it has a delicate lace-trimmed neckline and adjustable straps. Wear yours under a blazer.